My favorite part of being an editor is the wonderful love stories I get to read. 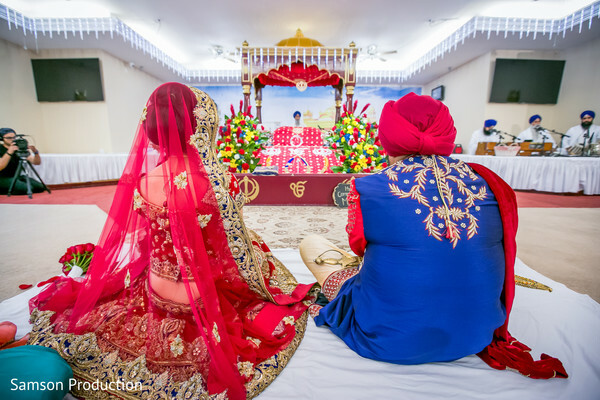 Every time I share a special Indian celebration, I find the next wedding to be just as innovative and creative and this is truly what keeps us motivated to love what we do here in the editorial department. 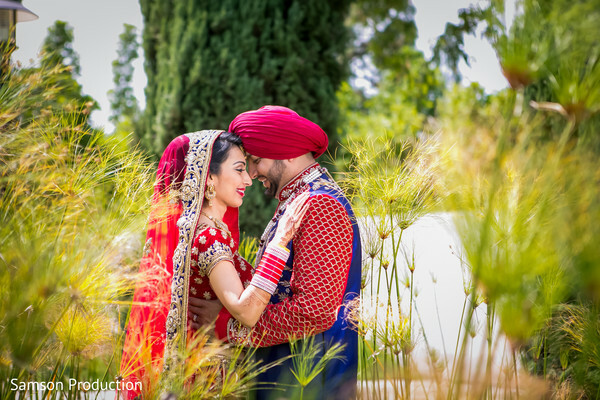 Today’s love story hails from southern California where Maharani Preet and Praneel honored their Sikh background. 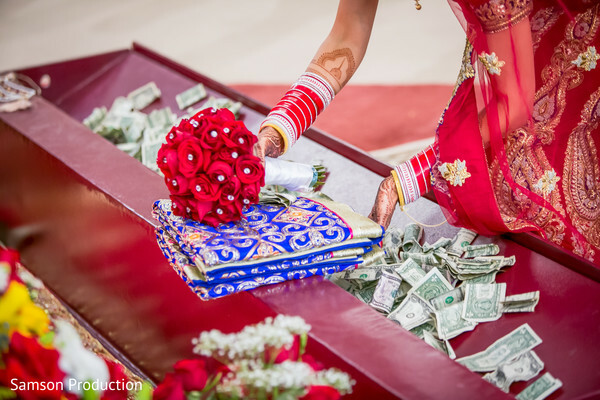 Of course, their series of wedding events started off well before the Indian wedding! As I perused through the images of this colorful bash, I couldn't help but think that the wedding planner went above and beyond in planning the various events! 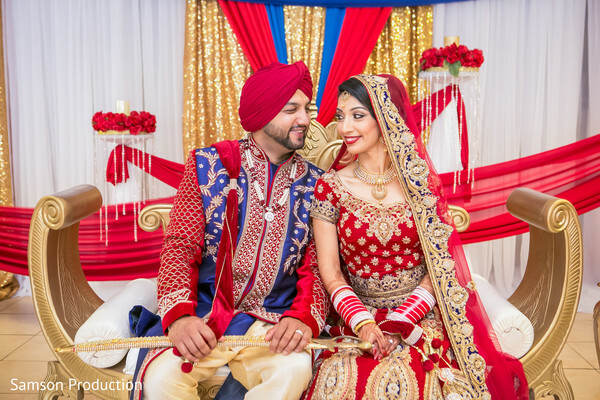 Maharani Preet was a natural stunner, further beautified by the fashion of Manshaa Collection. 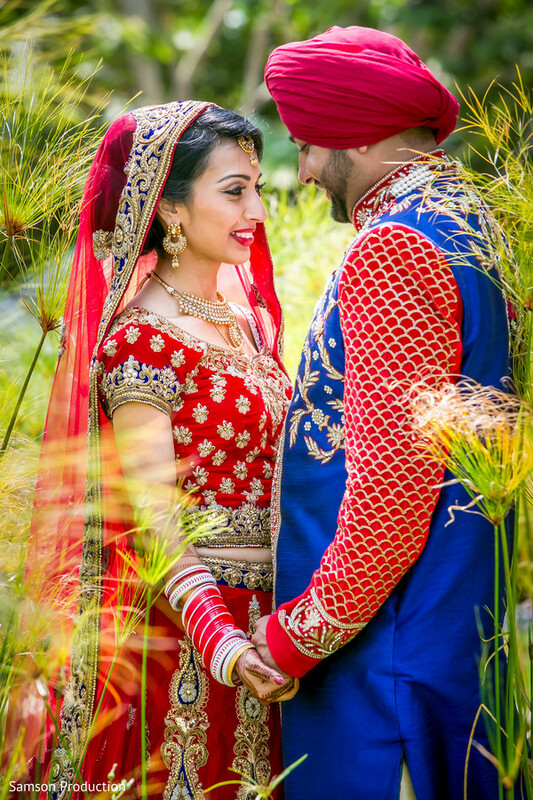 Preet's one of a kind crimson red and gold floor-length lengha was ingenious on its own. 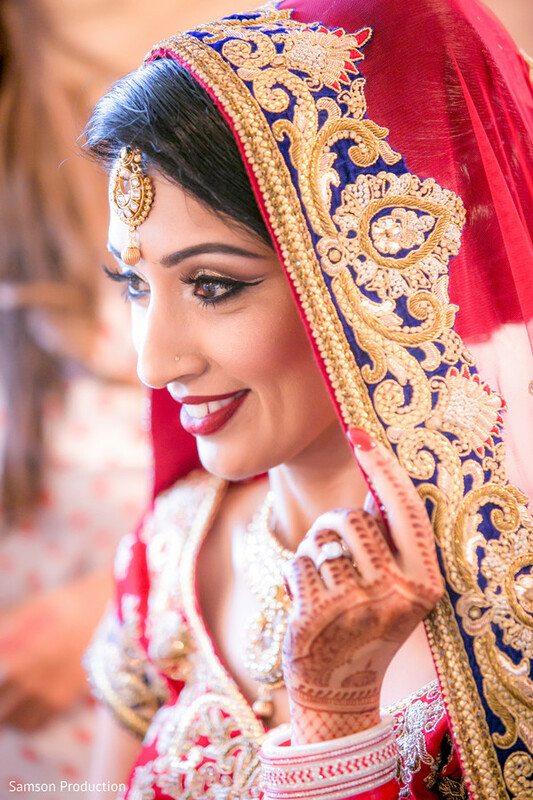 The gorgeous bridal garb sparkled in all of the images captured by Samson Production. Head into the gallery for a heaping dose of fun, laughter and family camaraderie! I will be right back with the grand reception on a yacht with wedding décor by Sacheens Décor!